With a semi-fitted cut and made from a supple 97% fine cotton/3% spandex blend, the Stratagem Shirt is available in both long & short sleeves for men and -length & short sleeves for ladies. The men’s shirt features removable collar stays while the ladies shirts feature relaxed v-neck buttoning. The ladies’ short-sleeved shirts also feature mock cuffs and darted sleeve caps. 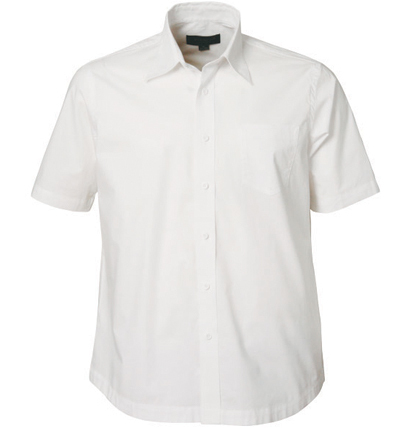 When it comes to choosing a basic business shirt, you need something comfortable, breathable and durable. 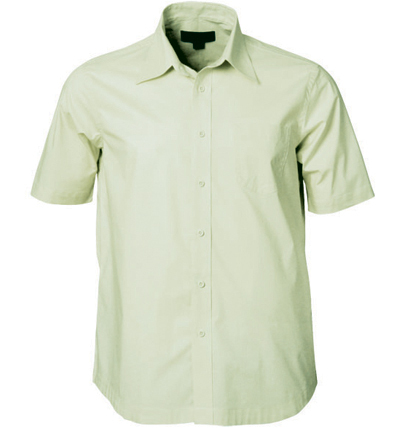 The Stratagem Mens Short Sleeve Shirt offers all this at an affordable price. These shirts have a semi-fitted cut, and are made from a 97% cotton/3% spandex blend giving them a natural stretch as well as fitting well. 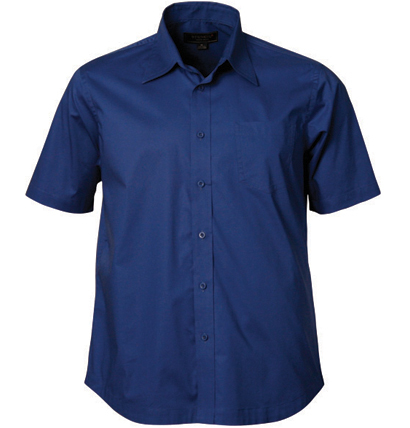 Similar in style to the long sleeve version, the Stratagem Men’s Short Sleeve business short is available in five basic colours, and comes in a range of sizes from small to 5XL. These shirts allow for a great embroidered logo print, helping your brand stand out. When looking to fit out your whole team with branded business shirts, you can’t go wrong with the Stratagem range. Team the men’s short sleeve shirt with the long sleeve version, as well as the women’s quarter sleeve and short sleeve options. Branded business shirts are one of the most popular options to market a business – they are durable and your branding will be around a lot longer than other marketing opportunities. When looking for a new branded business shirt, you can’t go past the Stratagem business shirt range at EzyPromos.